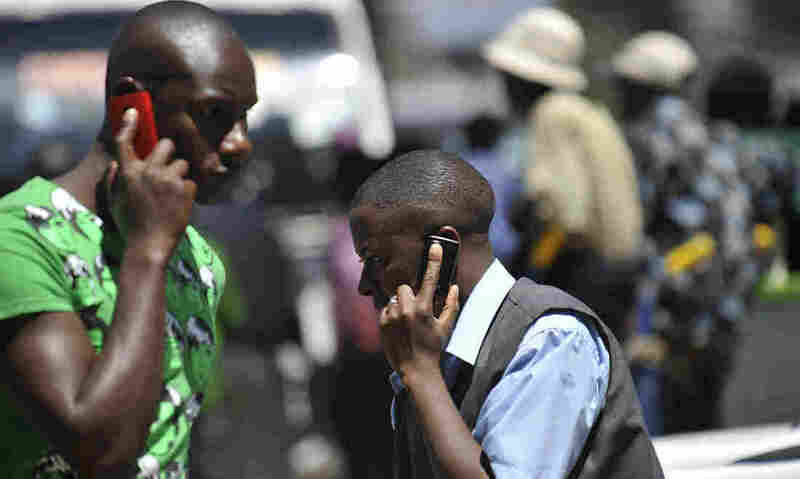 How Cellphones Helped Researchers Track Malaria In Kenya : Shots - Health News By tracking nearly 15 million cellphones in Kenya, scientists mapped out how malaria spreads through the Texas-sized country. The findings pinpoint areas where efforts to control malaria would be the most effective. One day, the data may help guide alert systems for phones that remind travelers to use bed nets. More than 90 percent of Kenyans use mobile phones, giving scientists a powerful tool to track how diseases spread. Cellphones are popping up all over in health care these days. They're monitoring our blood sugar, tracking the flu season and even mapping the junk food we eat at night. But compared to a study just published in Science, these crowdsourcing tools look like small potatoes. Researchers at Harvard School of Public Health tracked the texts and calls from nearly 15 million cellphones in Kenya for an entire year and then used the data to make a map for how malaria spreads around the Texas-sized country. The results were unexpected. The roads to and from the capital city, Nairobi, are the most heavily traveled, yet they aren't the most important for spreading the disease throughout the country. Instead, regional routes around Lake Victoria serve as the major disease corridors for the parasite. And, towns along the routes are hot spots for transmitting malaria to the rest of the country. The data also confirm what a few epidemiologists had feared: Malaria seems to be getting into some African megacities, like Nairobi. Malaria doesn't typically occur in large cities because mosquitoes don't thrive there. "But some studies suggest that mosquitoes are adapting to the city," Douglas Fuller, a geographer at the University of Miami, tells Shots. "This study shows you where Nairobi is getting its malaria." To curb malaria throughout Kenya, the disease-travel map points out precise areas for concentrating malaria control efforts and suggests places where stopping malaria won't have a big impact. 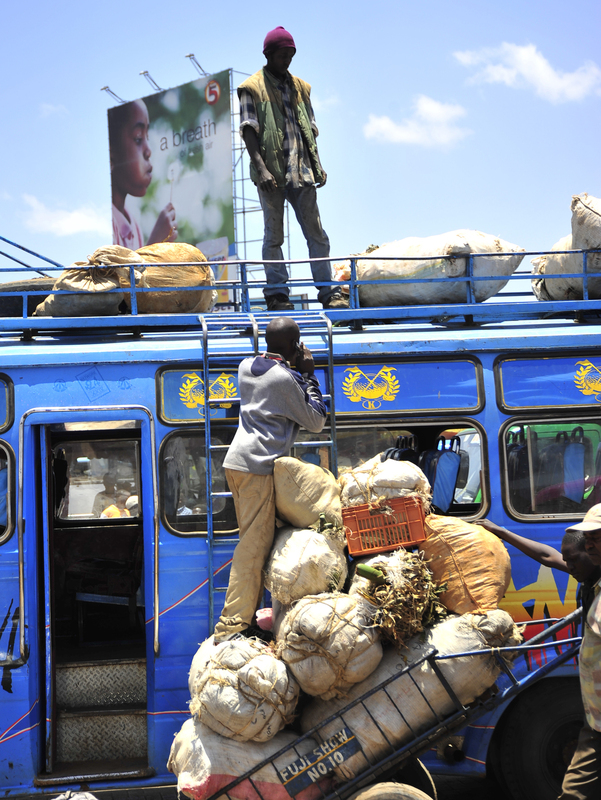 Many Kenyans, who live in cities like Nairobi, also have deep roots in rural villages and travel there often. This travel pattern plays a critical role in spreading malaria around Kenya. "It was thought that both the coastal and Lake Victoria region contributed to the spread of malaria," says epidemiologist Caroline Buckee, who led the study. "But travel around the coast wasn't a major source for spreading the parasite." Buckee says these results could, one day, guide alert systems for phones. When people travel to and from a high-risk area, a text message could remind them to use a bed net or take other precautions. Malaria is caught from mosquitoes, but people play a significant role in moving the parasite around. "Most people who carry the parasite are asymptomatic," Buckee says. "But when they get bitten, they transmit the parasite to other mosquitoes." The insects tend to fly only about one kilometer throughout their short lives, but Kenyans are quite mobile. Many are what Fuller calls "rurbanites." They spend a lot of time in cities but keep roots in the countryside. So they travel back and forth between rural and urban areas, such as the cities clustered along Lake Victoria. To figure out how this travel pattern contributes to malaria transmission, Buckee and her team laid the cellphone data onto maps of malaria infections. The result was a travel network for both the humans and the malaria parasite. A few years ago, health official used a similar strategy — on a smaller scale — to stay ahead of the cholera epidemic in Haiti. As people started fleeing the epidemic's epicenter, cellphone data predicted where the disease would spread and helped aid workers funnel supplies in right place and time. Fuller says the current study breaks new ground. "People have known about the potential of using cellphones but haven't tapped into it," he says. "The sheer volume of this data is quite remarkable."